As they begin their second century of institutional giving, community foundations are responding to the new challenges of a shrinking public sector. 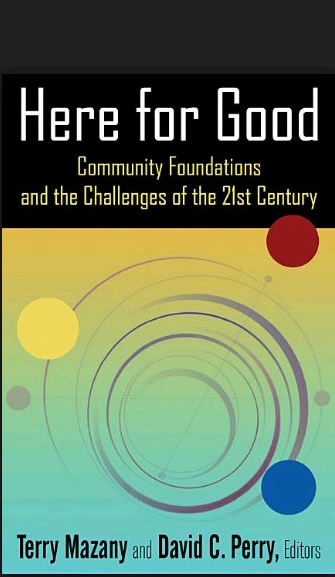 A sampling of the growing body of innovative practices for community foundations has been collected in the book Here for Good: Community Foundations and the Challenges of the 21st Century. Edited by Terry Mazany, President and CEO for The Chicago Community Trust, and David Perry, professor of Urban Planning and Public Affairs at the University of Illinois at Chicago, this anthology invites community foundation presidents and community development professionals across the country to discuss how foundations can better serve and engage communities. The second section of the book is dedicated to investigating how community foundations define and measure community impact and how they serve as anchor institutions.